Marcos Morán is the gastronomic director of Hispania. 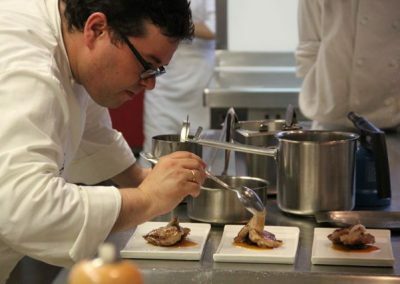 A fifth-generation member chef of the Morán family, this young chef heads up the kitchen of the restaurant Casa Gerardo, in Asturias (Spain). 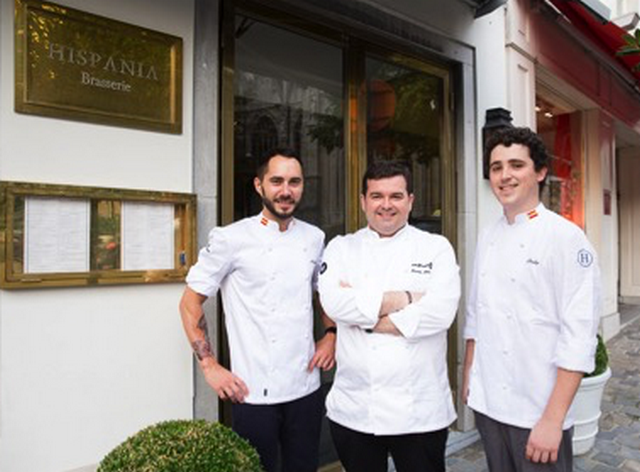 Casa Gerardo, established for more than 100 years, is quite an institution that has been awarded one Michelin star and a ‘three suns’ award by the Repsol Guide (the highest restaurant recognition in Spain). 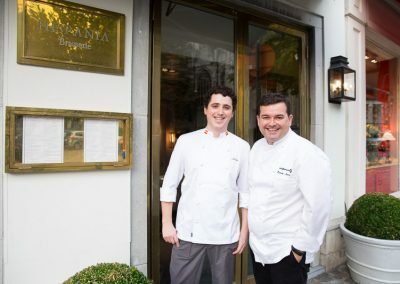 The Moran family and Casa Gerardo have received as well the National Gastronomy Award in Spain. 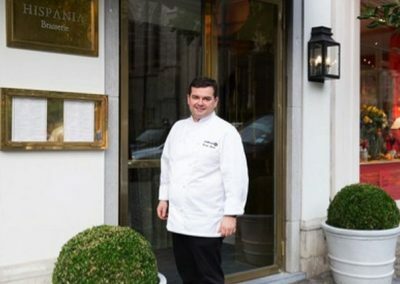 Despite his youth, the professional career of Morán has been honored with multiple awards such as “Chef of the year” in 2008, “Chef Millesimé” in 2010 and Chef de l’Avenir by the International Academy of Gastronomy, and has been recognized as a reference in the Spanish gastronomic forefront. 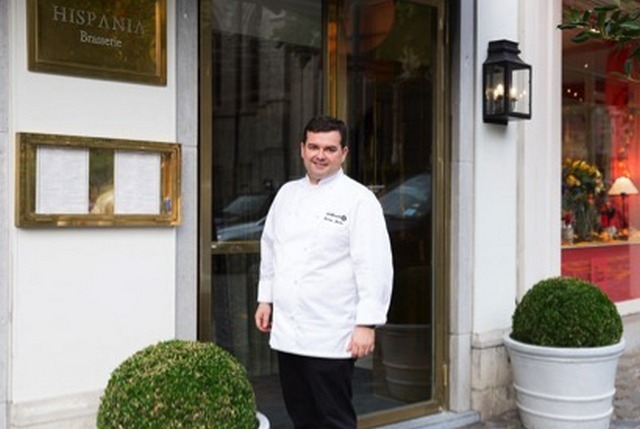 He manages the kitchen at Hispania London, the biggest restaurant in Europe dedicated to Spanish Gastronomy. 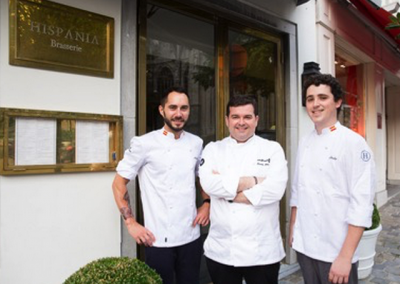 In 2017, Marcos Moran and Hispania received, by the Royal Academy of Gastronomy, the award “Marqués de Busianos” to recognise the role in showcasing Spanish gastronomy around the world. Marcos Morán brings Hispania his first-class culinary experience both with an informal approach through Hispania Brasserie and through the more formal cuisine at El Impasse del Sablon.